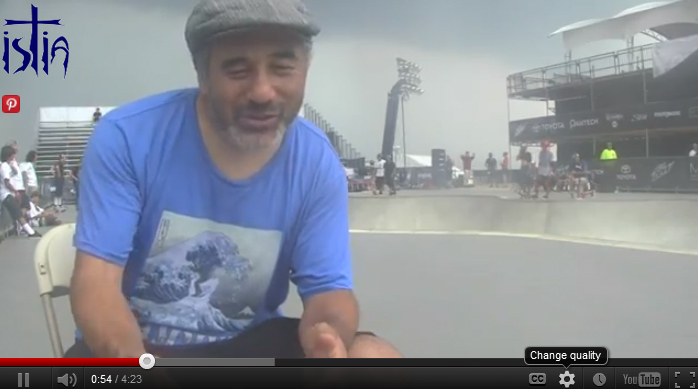 Legendary Bones Brigader, Steve Caballero, is a renaissance man: skater, artist, musician. He has been in a number of bands since the early 80s and regarded as one of the early Skate Rock legends. In the mid-90s he had a small, short-lived band in San Jose called Soda. They didn't last even a year but made quite an impact on their scene in that brief period. Recently a good friend of Steve's and the band, Steve Larkin, a legendary college DJ on the SoFA music scene, passed away. To help raise money for Larkin's family Soda is reforming and playing this Friday, August 24th, 2012 at The Blank Club in San Jose. Tickets are $10. We sat down with Cab to talk about getting the band back together and how he got into music in the first place.